Understand which treatments are safer and more effective. Reduce or eliminate your symptoms. 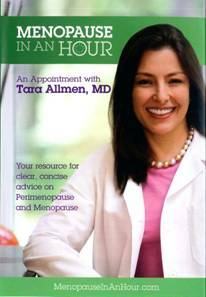 Menopause In An Hour is an informative DVD that gives you practical information about perimenopause and menopause. You could spend hours searching the web and find incorrect and outdated information. Dr. Allman is very knowledgeable and presents the information with humor and compassion. She explains what is happening and she talks about what treatment options that are available. Many women have difficulty talking to their doctors and she gives tips on how you can talk to your doctor about how you are feeling. There are testimonies from some of her patients on how they faced menopause. I found the DVD very entertaining. The book supplied with the DVD explained the topics discussed in more depth and was easy to read. There is a companion DVD call What's Up With You-Know Who? This is perfect for your spouse and will help them adjust to what you are feeling. For more information,check out her website where you can subscribe to her newsletters or purchases the DVD. 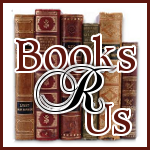 A portion of the proceeds is donated to research and education in women's health issues. Disclaimer: I was provided a freee copy of the DVDs from Meryl L. Moss Media Relations, Inc and I was not compensated for my review. This sounds like something I could use. Thanks for highlighting it!